Like most addicted runners, as soon as I knew we were planning a trip to Utah for my dad’s retirement, the first thing I did was look for a race. 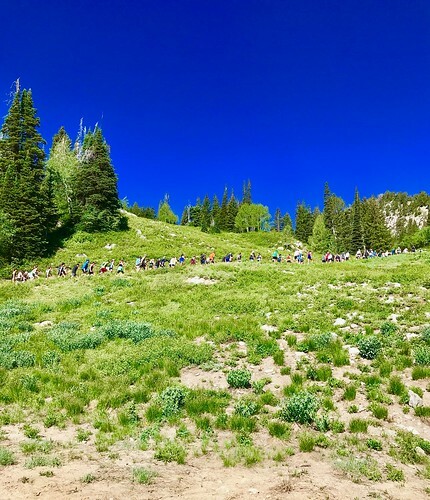 There were a few 5k options on the weekend we were there, but one specifically caught my eye – the Cirque Series mountain trail event at Brighton Ski Resort. It was only 6.8 miles, but as I read the description, I really started to get nervous. I mean, I live and run at about 150 feet above sea level. 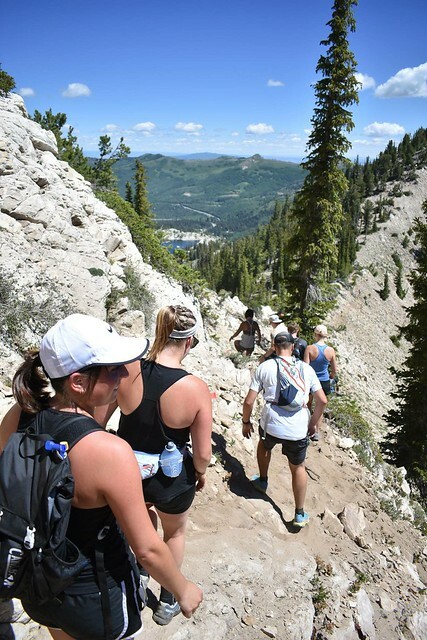 At this event, I would be starting at over 8700 feet and running up to almost 10,800. I mean, that’s some solid climbing. While I had my doubts, I decided that the experience would be nevertheless memorable in addition to tough – and I was right. This is one of those races that I won’t soon – or ever – forget. My dad accompanied me to the mountain – either out of support or a fear I may perish – which was only about a 40 minute drive from his house. 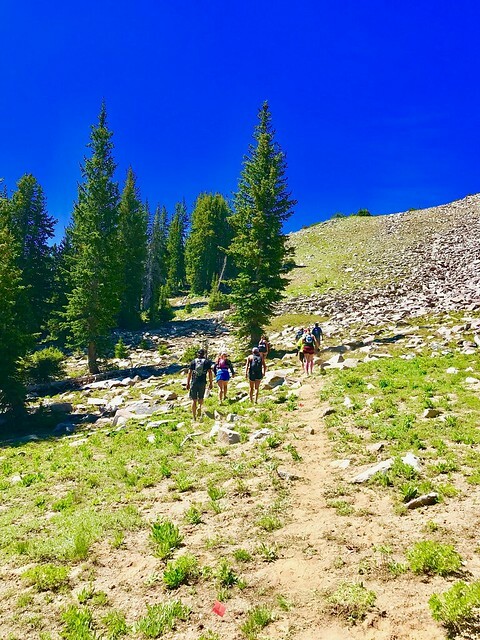 The 10am start was perfect for those of us who arrived merely the evening before, but more likely taking into consideration the chilly morning temperatures that come with being at 9000 feet of elevation. The skies were super clear and blue, and the temps were actually pretty perfect – hovering between 55& 62 degrees most of the morning. The warm-up area was chock full of vendor tents and the atmosphere was buzzing early. Staples like On shoes, Cotopaxi, and Subaru were there, as well as a bunch of awesome local vendors. 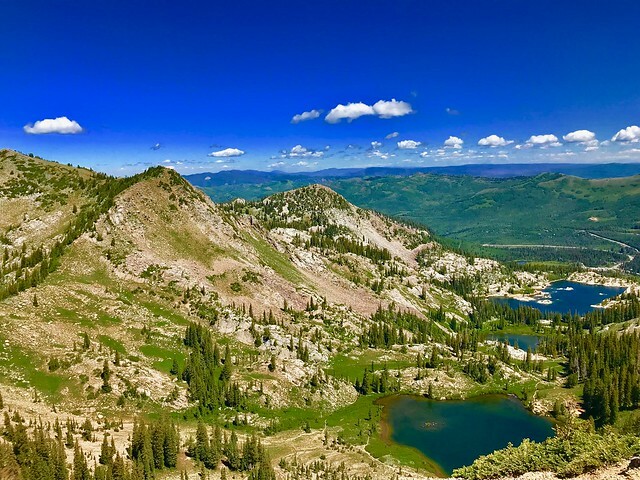 I grabbed some protein pancakes from Kodiak Cakes, picked up my bib and awesome logo hat, and stared at the peaks surrounding us – specifically Mt. Millicent. To be honest, when we first arrived, I had the initial conversation with my dad that it didn’t seem that high. I knew (deep down) that I was trying to fool myself into things, but I was just gonna go with it. 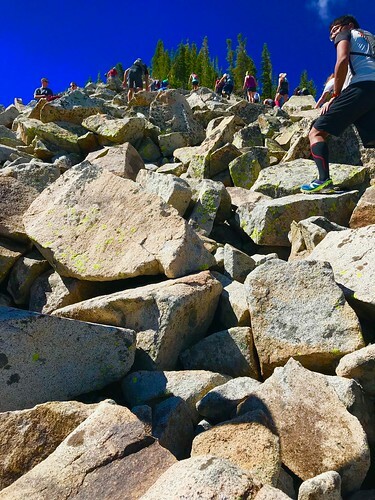 From the race map, I knew that this first summit required a section of scrambling over boulders, and that this portion of the ascent began at the top of the chairlift. I could see the lift pinnacle from the resort and it didn’t seem thaaaaaaaat far. Yet it also didn’t seem like 1.8 miles, meaning that the trail we were running on was definitely going to snake around and go back and forth in areas I couldn’t yet see. Cue butterflies. The race sold out at 500 runners and it was evident this was gonna be a slower trek than anticipated – if not by challenging trails than by the number of people. 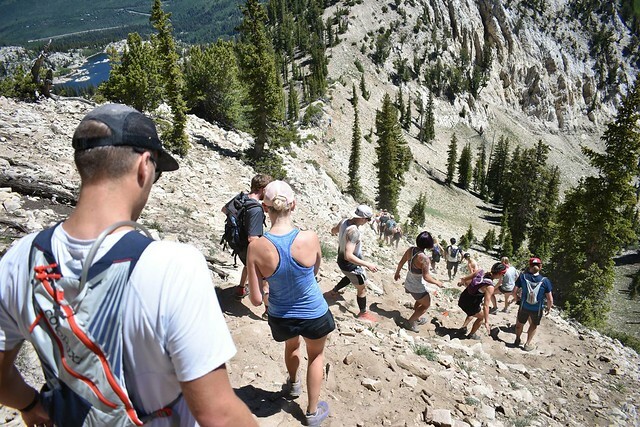 As the countdown to start concluded, the first quarter-mile stretch of so was slow going as runners got into position on some flat and downhill sections within the base of the resort. It wasn’t long before we started the back-and-forth climbs up the hill and my first (of many) extended brisk hike pacing began. I definitely wasn’t the only one who was walking – as I would venture to guess that anyone who was not a pro or elite tackled the race the same way. It was more of a rapid alpine mountain hike mixed in with some short sections of jogging, than anything else. One brave spot I decided to stop and snap a pic. 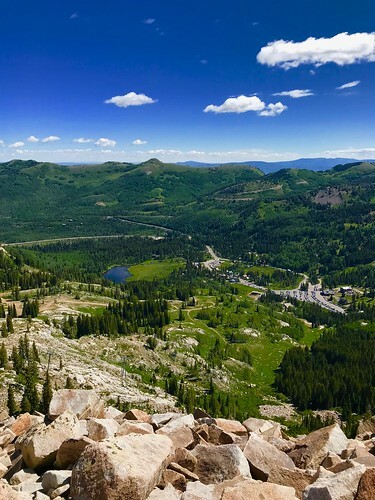 There were a few times I stopped to take a breather, but I actually felt like it was more challenging to catch my breath in the altitude when just standing there as opposed to moving. I don’t know if there is science behind this, but I just decided that my best bet would be to keep moving as much as I could (aside from brief breaks to take pictures – I just couldn’t resist). 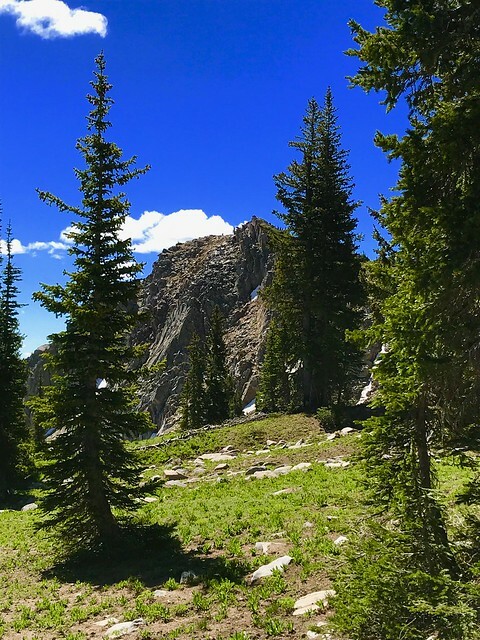 There was little time to rest at the peak, as the pinnacle here (as at the other mountains) weren’t all that roomy and necessitated moving forward. I found myself quickly on the steep descent on the back side of Milly where we “ran” along the ridge towards the saddle between Mt. Wolverine and Mt. Tuscarora which actually included some semi-runnable single track trails. 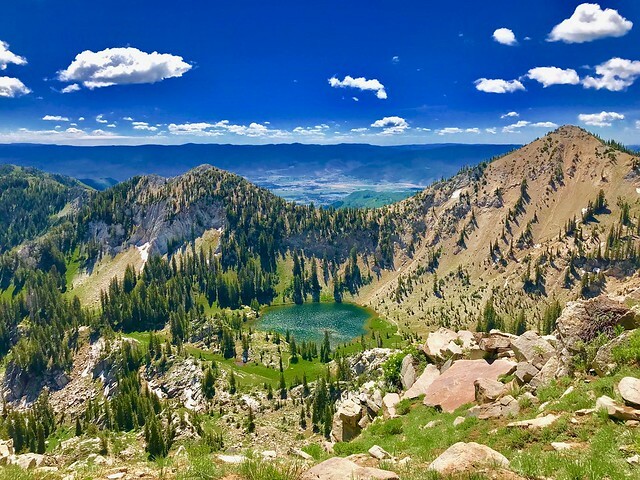 Before long (theoretically), we climbed up to summit Sunset Peak (elevation 10,648) and achieved some amazing views of Lake Catherine, Devils Castle, Timpanogos, and the Heber Valley. There were some really steep and sandy sections here, which brought on even more of a challenge. 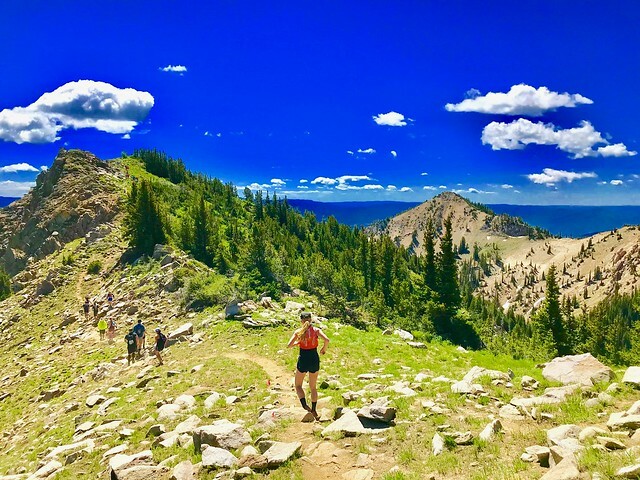 Honestly, this is truly an amazing section – probably the most breathtaking part of any race I have ever run. After Sunset Peak, the last real down and up was to traverse Pioneer Ridge and summit Pioneer Peak. 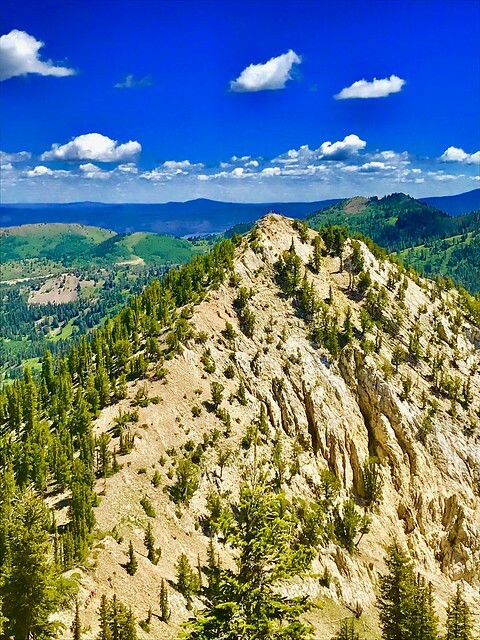 From the top of Sunset, Pioneer wasn’t all that far away, but it was clear that the ridgeline was narrow and would be a challenge. 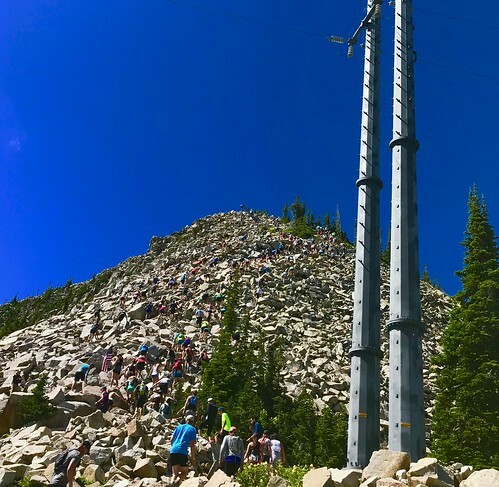 The small summit of Pioneer was the last climb of the day, as the rest of the race was essentially 2 miles downhill run on the Pacific Highway and Powder Alley Trails to the finish. 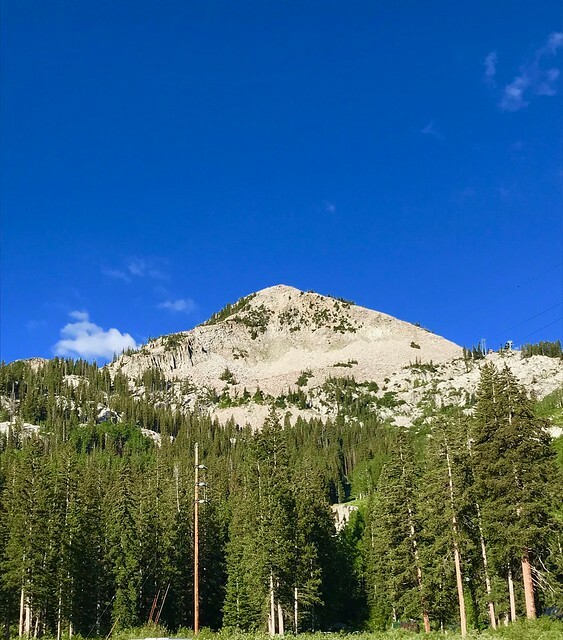 There was an aid station at mile 4.8, which I skipped, and then it was a brisk and relatively steep trek down the service roads to the vendor staging area back at Brighton Resort. I don’t think I will every forget this race. Ever. I wasn’t fast (finished somewhere near the middle of the pack with an ~2:26:00 pace) and finished embarrassingly far behind the pros (the winner was 1:06:00)! But it ultimately didn’t matter. I surpassed what I thought I could do, had a blast doing it, and experienced something so unique in the process. The energy and passion at the event was second to none and it’s clear that they have found a sweet spot between a challenge and being something that anyone can do – if you put your mind to it. Registration is surprisingly affordable and comes with a Cirque Series snapback hat, logo bib, finisher’s medal, swag bag, and free photos. There are seriously a ridiculous amount of free photos on their Facebook Page, which is amazing for events such as these. I literally saw at least a half-dozen photographers lining different parts of the course, and even some who ran alongside runners with their DSLR’s, chatting and snapping action photos along the way. So awesome! I highly recommend this race series. 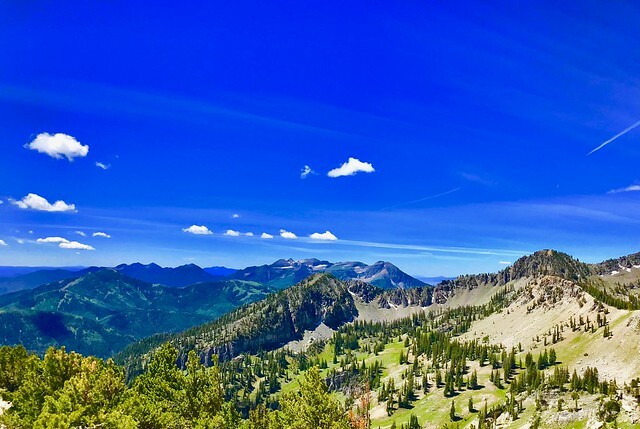 Some may be a trek for Oregonians, but if you start planning now for these events, the locations aren’t all that far away and will provide you with memories to last a lifetime. I guarantee it.